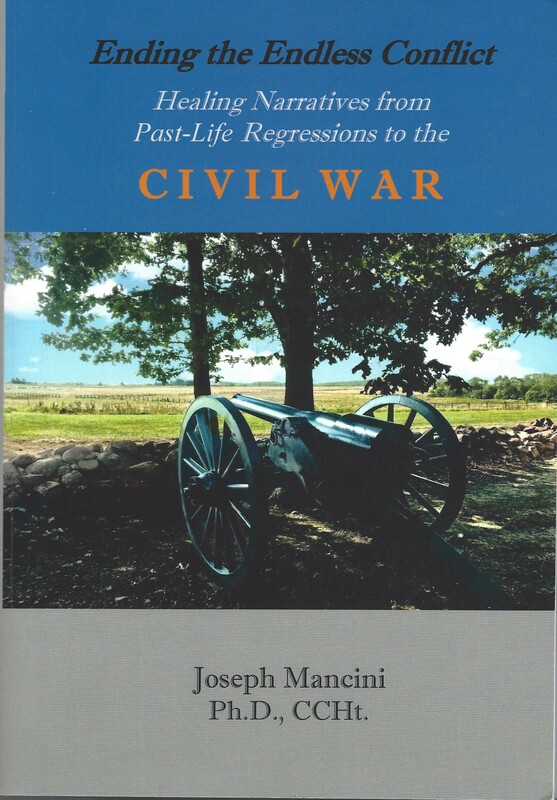 The author takes the reader on multiple journeys to the Civil War, believing it to be the primary source of the polarized thinking that haunts America today. He provides the potential for healing on both the individual and collective levels by investigating the Civil War in reference to past lives of seventeen individuals living today. He shows how limitations create intense anguish for both the present and past-life personae through an insistence on one-dimensional, stereotyped perspectives about self and other; failure to acknowledge and integrate the Shadow side of the psyche; inability to hold seemingly incompatible perceptions together while staying grounded; and profound lack of empathy for warring internal dimensions and alienated external selves. The past-life individuals Mancini investigates includes men and women, children and adults, Federals and Confederates, slaves and freedmen, doctors and deserters, and soldiers and civilian—all equally overwhelmed by fear and agony over the devastation and extreme carnage of this monumental war. 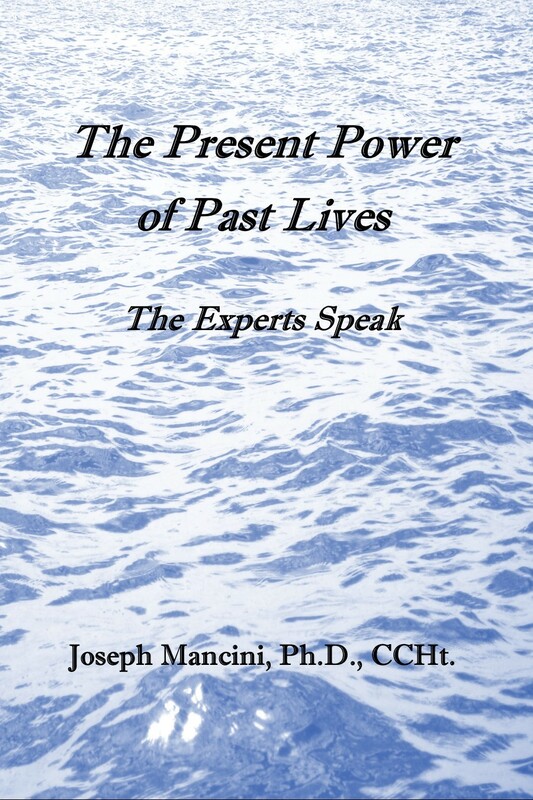 In late 2013, Joseph Mancini, Jr., PhD, Certified Clinical Hypnotherapist, conducted a series of radio interviews on VoiceAmerica with experts in the field of past lives, past-life regression, and consciousness studies. 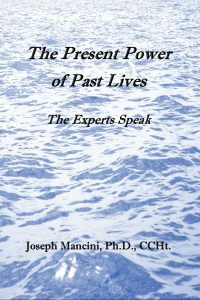 In this book, created from that series of interviews, the author first relates his own past-life protocol, as well as tips for achieving a successful past-life regression and finding an appropriate regressionist. He then interviews three of his clients about the healing that past-life regression can provide. Next, he discusses the positive and negative implications of what he calls the “old,” time-bound, cause-and-effect notion of Karma that tends to focus on what amounts to predetermined punishment for transgressions committed earlier in the present or in a past life. Opposing this view is a different notion of how present-life arrangements are related to past-life deeds: as a pattern of freely-chosen contracts/choices made with others to try out a different path. Following the chapter on Karma are ten other chapters devoted to the different contexts in which practitioners have accessed past lives; these include interviews focused on children’s past lives with Carol Bowman, past lives and attached entities with Greg McHugh, soul contracts with Linda Baker, past-life regression with intact groups with Janet Cunningham, past lives and natal regression with Tim Simmerman-Sierra, past-life regression to capture lost history with Joanna Prentis and Stuart Wilson, Edgar Cayce and past lives in Atlantis with Nancy Eubel, past lives and life-between-lives with Dee Chips, and research on the positive effects of past-life regression with Heather S. Friedman Rivera. Throughout the text and endnotes, Dr. Mancini comments on the materials presented from the point of view of Seth, the “energy personality essence” channeled by Jane Roberts from 1963 to her passing in 1984. Making this perspective even more concrete are the interviews with two of Jane’s ESP students, Rich Kendall and the late Lawrence Davidson, who share what it was like to have Seth comment on several of their own past lives. This book will appeal greatly to followers of Seth, those interested in the expansion of consciousness, those curious about past lives and related matters, and novice and experienced practitioners of past-life regression. Of all the books that I’ve read in my 45 years, there are only a few that I can say have changed my life. One of them is Shrouded Truth: Biblical Revelations through Past Life Journeys, by Reena Kumarasingham. Reena Kumarasingham is a regression and life-between-lives therapist who has been a trainer and supervisor for the Past Life Regression Academy for many years, teaching students in the UK, Australia, and the United States. In fact, she was my teacher. 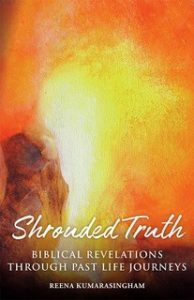 Her new book, “Shrouded Truth,” explores the past-life memories of eight souls who lived as some of the people closest to Jesus throughout his life. The story she weaves together is based on independent accounts accessed through the past life regressions of eight separate individuals who did not know each other and had no previous knowledge of each other’s accounts beforehand. And yet, each experience corroborates the others. What unfolds is a layered, textured tale of family, friends, empowerment, survival, spirituality, connection, sacrifice, and, at the core of it all, love. That tale is all about what happened before, during, and after the crucifixion of Jesus Christ. And that tale differs, sometimes drastically, from the fundamental beliefs of Christianity as we know it today. It is fascinating to me that Kumarasingham was brought up as a Hindu in Malaysia, a country where the dominant religion is Islam. She had very little prior knowledge of Christianity other than the secular narrative. She also did not conduct any research until she was confident that she had collected all accounts—to stay as objective as possible during the sessions and flow with the information that emerged. Because the accounts vary so much from that which she did know, she wasn’t sure at all that anything would come of it. What encouraged her was that these first-hand accounts were, on so many points, so similar. This, to her, was remarkable. On the opposite edge of the spectrum, I, as just one member of the audience for this book, grew up in a devout Roman Catholic home. I spent 16 years in Catholic education—from grade school through University. It is safe to say that I have a very good grasp not only on that which is taught in the bible, but that which is taught as doctrine of the Catholic Church. From my educated perspective I can say is this: This book, in a stroke of loving, revelatory genius, turns Christianity on its head. As a regression therapist I respect Kumarasingham’s professionalism, and her protocol in honoring the emotions and therapeutic healing of the subjects just as much as integrity of the research. All this is abundantly clear in the work as a whole as. I expect that we will see a surge of interest in regression therapy in the years to come as a result of this book. I believe that it is safe to say that I will not be the only one whose life will have been changed at the close of this particular back cover. 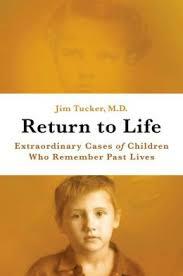 Return to Life: Extraordinary Cases of Children Who Remember Past Lives by Jim B. Tucker, M.D. Professor Tucker has taken us by surprise. This time he wrote a book that will be appealing to everybody, from lay persons to academics. Unlike his predecessor, Ian Stevenson at the University of Virginia, who meticulously wrote his books for the academia as if he were referring to a judicial body, Dr. Tucker writes with patience and wisdom. Without denying the importance of details, he goes into the essence of the stories and provides us with plenty of evidential cases that all make a point. There is much more out there than modern science can grasp with its materialistic tools. It is by focusing on this exceptional phenomenon of children’s recollections of past lives that we can see how the limited prism of our reductionist scientific paradigm is such a distorted view of reality. It has been a long time since I read his first book Life before Life. It was a great effort to make deaf ears listen this time. However, his current book is wiser and touches issues that had not been addressed in the earlier one. Together, they make great reading, but both can stand on their own as well. I have to thank Dr. Tucker for the courage to write his second chapter. In it, issues that may be considered taboo by the majority of Westerners will bend your mind. But, believe me, they are phenomena that exist and have to be dealt with if we really want to study the cosmos. Dr. Tucker also presents very strong, solved cases (as they are said to be when children’s memories are finally verified) and weaker unsolved cases. He also provides us with all the elements that characteristically constitute a case: the physical, emotional, psychological aspects of each and every child who has these recollections. In this he does a great job. four-dimensional world may be a fallacy and that the time continuum as we perceive it may not be linear as past, present, future. His final allegory of consciousness being equated to dream life is a remarkable example of how everything could fit into a picture and makes us realize that we are all a tiny little part of a much larger picture, that of the Ultimate Source. He clearly shows us how we all create our own afterlife conditions in the here and now. An inspired book, a “must read,” a great present to a friend. It should not only be read by psychiatrists, psychologists, or psychotherapists (traditional or alternative); it should be read by all people who want to make sense of the world that surrounds us and find meaning into it. Healing Deep Hurt Within: The Transformation of a Young Patient Using Regression Therapy by Peter Mack, M.D. This book was written from the perspective of a surgeon in Singapore. Dr. Peter Mack, a trained surgeon at a large hospital, took on a patient who was so disturbed by certain aspects of her life, past and current, that she was suffering from severe and debilitating depression, amnesia, black outs and/or fainting spells, and nightmares. She was unable to work or function in her daily life. Dr. Mack is also certified in hypnosis as well as traditional surgical medicine. He took on this patient with the intention of using non-medical techniques and therapies to help her get past her inner trauma and conflicts. He choose to use hypnosis and age regression to help this patient, gently digging through the confusion and pain to find the truths that she was unable to face on her own. Dr. Mack combined conventional medical and psychological knowledge and training with hypnosis techniques, in particular using age regression and past life regression, to get to the source and the origins of her blocks and her suffering, and to help her see herself in a more positive and loving way. By the end of his work with her, not only was she able to move past the pain of the past and return to her normal life, but she also saw herself and her life in a more loving and spiritual way. She even went so far as forgiving the people who had caused her so much pain and suffering, those who had let her down or abused her. More importantly, she was able to forgive herself. From an overwhelming well of pain and despair, she was able to return to health and well-being, find new work, and establish a more loving relationship with herself. I think this book is an excellent demonstration of how hypnosis and regression work can be used as a collaborative methodology: mixing well with conventional treatments, and guiding the clinician/patient to the origins of the problems and issues much more efficiently and effectively than just using psychotherapy or medical treatments alone. I have recommended it to my hypnosis students who use hypnosis and regression therapy in combination with their medical practices, such as a psychiatric nurse and a psychotherapist, as an example of how to combine all their tools for the greatest and highest good of their patients. It is easy to read and hard to put down! When first asked to write a review of Dr. Modis’ latest work, I didn’t realize the difficulty involved in doing this review. Because of its wide scope and divergent subject matter, it was truly an amazing and remarkable journey. Many books contain intelligence and knowledge. Fewer contain true wisdom. Volume two is a brilliant continuation challenging multi and inter dimensional concepts, which should be of interest to scientists, astrologers, astronomers, anthropologists, historians, the curious and many other fields of human endeavor. Regression therapists and those in the healing professions, should note Dr. Modi presents effective 22nd century healing modalities in the here and now. The on going theme in Dr. Modis’ books is extraterrestrial involvement in human evolution. This theme gains strength with each new book she writes. Dr. Modis’ refreshing approach is courageous, open-minded and scholarly reflecting an insatiable curiosity, numerous sources and intuitiveness. In volume two, Dr. Modi includes numerous fascinating topics, such as: extraterrestrial involvement in human evolution, and DNA experiments (hybrids, advanced technology, and parallel dimensions). She reports an assortment and describes life forms on other planets, and in other universes. Other fascinating areas covered include various types of alien abductions, energy vortexes, lay lines, etheric energies in architectural structures (e.g. pyramids, the Great Wall of China and other ancient structures, the space time continuum, linear vs. eternal time) and so much more. 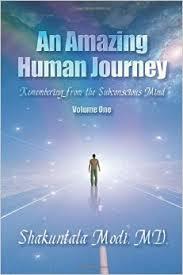 An Amazing Journey (volume two) is a must read book to be studied. It is a far reaching and insightful source of wisdom for those seeking an intellectual challenge, to traditionally held beliefs, particularly in the physical, emotional, cultural, spiritual, and the healing arts. Dr. Modis’ writing style is consistent in all of her works, easy to read, and possessing a flowing provocative narrative. All of her books are a timeless exploration of the past and future through hypnotic regression. Yet none of the information Dr. Modi states, “… is a reflection of my own personal or religious beliefs.” Excellent work Dr. Modi. 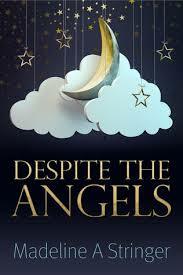 In many ways this is an unusual and interesting book that offers insight into past life exploration. Indeed, Pavel Gyngazov learned about his profession in a very unusual and individual way, working alone in Siberia. His work as a regression therapist, researcher and sexologist led him to develop his own approach and techniques through his practice, and this book represents many of his findings. His approach is designed to help his clients overcome their “internal chatter,” thus becoming able to facilitate their journey to find the source of their issues within their past. While many of his contemporaries help clients to access their human past lives that refer to their current life issues, his technique appears to open the person’s memory to include other experiences. Less than half of his clients went to human lives (38%). Another 26% went to animal lives, and 14% to extra-terrestrial lives. Others visited lives as energy beings, insects, plants, birds, fish, and nonorganic existences. His clients were able to access the particular characteristics of each existence and relate them to characteristics of their life today. Their stories are told by transcripts of the actual sessions which give the reader an insight into the dialogue that arises during a regression session between a client-who may be focused on events that occurred hundreds or even thousands of years ago— and the therapist, sitting alongside the person in the therapy room. The clients were able to give very descriptive accounts of how it feels to be a bird, a stone, an alien, etc., and this seems to be how this book is different from others of the genre. How those experiences are relevant to a person’s current life is explained in the dialogue between client and therapist. In this way the book broadens research into the field of past life exploration; thus, I consider The Roads of Lives: Essays on Regression Therapy to be a valuable contribution. 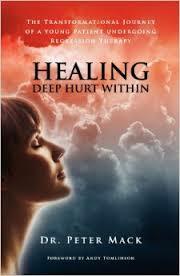 This book is a completely revised and expanded edition of Deep Healing. 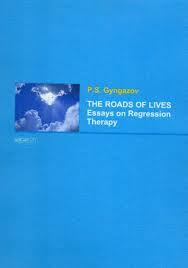 It discusses the essentials of regression therapy and the problems that can be solved by it. It illustrates sessions, personification, catharsis, energy work and body work. Included are finding and resolving attachments, past-life work and soul work. It has a glossary, a bibliography and an index. This book is the clearest possible statement I could make about a beautiful and weird profession. In therapy or coaching, there is nothing that helps as tangibly, as quickly and as deeply. It is not a panacea, it doesn’t always work, and not with everybody. But usually it does, often surprisingly, sometimes incredibly so. People regain their resilience and their initiative. A free spirit, a free soul and a free body, however the weather is, whatever the season is, whatever challenges life brings. This profession is for resourceful therapists with an open mind, yet with their feet on the ground. It takes courage and wisdom. Especially practical wisdom, common sense. And it never gets dull. 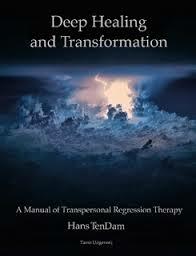 It is a profession to fall in love with: transpersonal regression therapy. Regression is reliving half or completely forgotten experiences. Transpersonal is everything that transcends the boundaries of the personal self: sensing someone else’s experiences, seeing yourself from the outside, accepting disembodied viewpoints, experiencing and meeting past lives. It is not at all about symbols and interpretations. It is all about concrete experiences, whatever, however, whenever, wherever. It can be ordered at Amazon or directly at http://www.lulu.com/content/paperback/deep-healing-andtransformation/14892880. 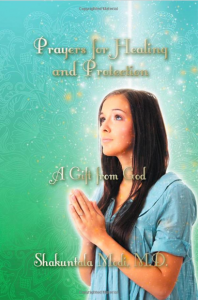 Prayers for Healing and Protection by Shakuntala Modi, M.D. WOW! Dr. Modi has done it again. Her new book is dynamic, inspirational, filled with insight and technique. Dr. Modi effectively accesses the complex multi-dimensional concepts of spiritual realms and influences both internal and external, positive and negative. Written in her unique easy to understand signature style, Dr. Modi has codified in one small comprehensive book everything a practitioner needs to transform, heal, and protect themselves and their clients. Modi’s techniques are graciously shared in a thoughtful, straightforward, all-inclusive and definitive format. She presents an effective template to easily access in depth, multi-dimensional realities, based on 25 years of patients’ descriptions. Their feedback expands traditional mental, emotional realities of thought. Dr. Modi’s template gives the required depth demanded by the professional practitioner, yet light enough for the curious seeker to discover inroads and applications to expand mental, emotional, and spiritual realms. Other protocols include calling upon the highest powers for guidance and aid in releasing, healing, and transforming earthbound and other negative spiritual beings. Invoking protection from dark energies and/or demonic forces is at the heart of this book. Other subject areas include coma victims, aliens and alien implants, negative energies (surrounding both man made and natural events) and disasters plus much more.